1350-1360 René-Lévesque West is a state-of-the-art twin tower complex designed to serve as home to only the most discerning of tenants. The property’s cutting edge design and abundant infrastructure offers users exceptional efficiency, ample natural lighting, and an environment which caters to the needs to today’s workforce. Originally designed to service the demands of the technology sector, the property is equipped to handle the requirements of both today and tomorrow’s modern work environments. 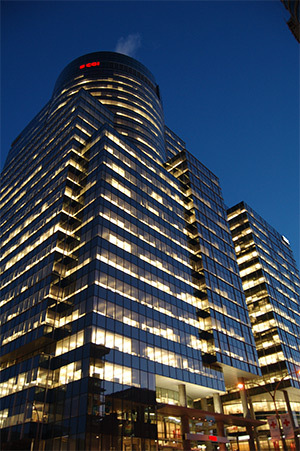 A revolutionary design focused on the needs and comfort of its occupants, the complex is comprised of two impressive office towers consisting of nearly one million square feet of office space and offers its’ occupants all of the necessary features and services which would be expected from a Class A development. Connecting the two towers is an impressive grade level atrium, featuring an award winning food court, an exterior terrace, and a convenience store. Conveniently located only steps away from both the Lucien L’Allier metro station, and the Lucien L’Allier AMT rail station, 1350-1360 Rene Levesque West is truly at the heart of Montreal’s public transit system. In addition, the property is serviced by nine bus routes, is adjacent to both the entrance and exit to the Ville-Marie highway (720), and features 508 underground parking spaces. As technology has progressed during the years since the property was designed and built, so too has the property. 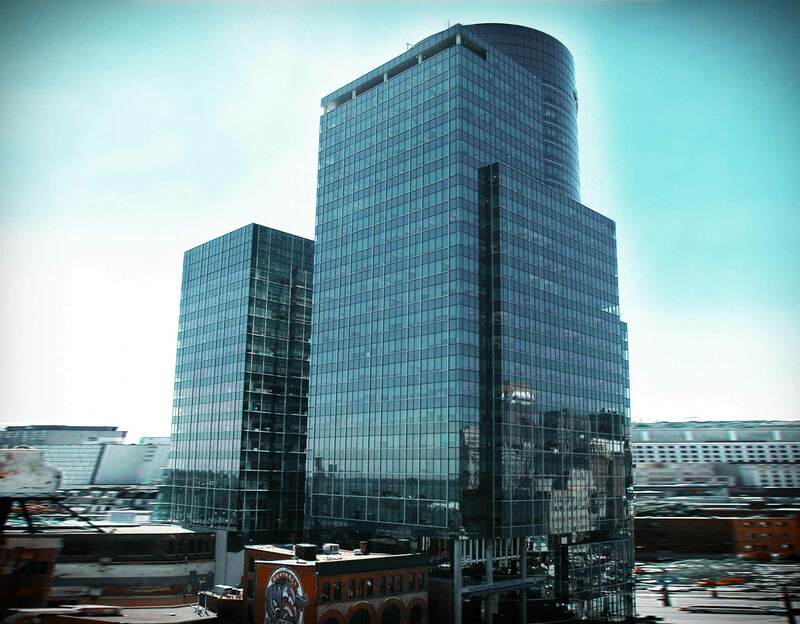 Since its construction, the infrastructure of the complex has been upgraded and re-commissioned, and has earned the certification of BOMA BESt, Level 3, the distinguished ‘GO GREEN’ certification by BOMA, and most recently was certified LEED® Silver.